Cleanup, Maintenance and Restoration . .
A little rain, a lot of rumbling . . after last week’s monsoon, the one last night seemed a wee bit gentler and efficient. 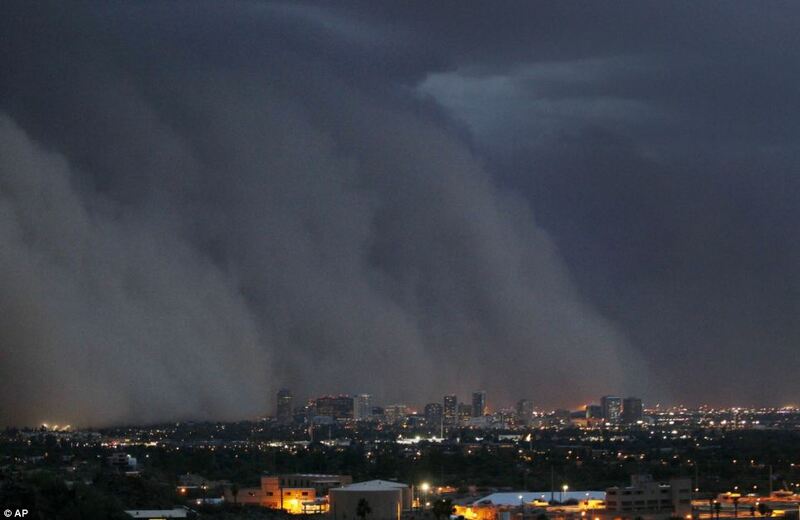 It was just progressively darkening skies, which promised rain and finally delivered with thunderous claps; there were no huge dust storms carried in by disturbing wind gusts. No more tree branches came down and not much debris was scattered. I hope it washed away some of the remaining mess from the last storm last week, which just blew a lot of stuff into new places! Earlier yesterday afternoon I had warned my friend Joe, while he cleaned my pool, that there were storms hovering nearby. He looked all around the sky for proof, not really all that convinced. In jest he told me that once he cleans all the pools for that particular day in Summertime, during our monsoon season, he goes home and shuts the windows and shades in his house to effectively shut out the fact that a storm might come and eradicate all that day’s hard work out in the heat and humidity! It would have been hard to silence last night’s storms in that way, booming with such resonance! I hope he was successful though. I’m sure that it is frustrating to have cleaned all those pools yesterday, only to have a storm roll through and mess them up anew. But isn’t that life’s real conundrum for us all in some way . . our real lack of control as mere mortal human beings in setting circumstances and keeping them just as we want them, neatly, tidily and ideally?? 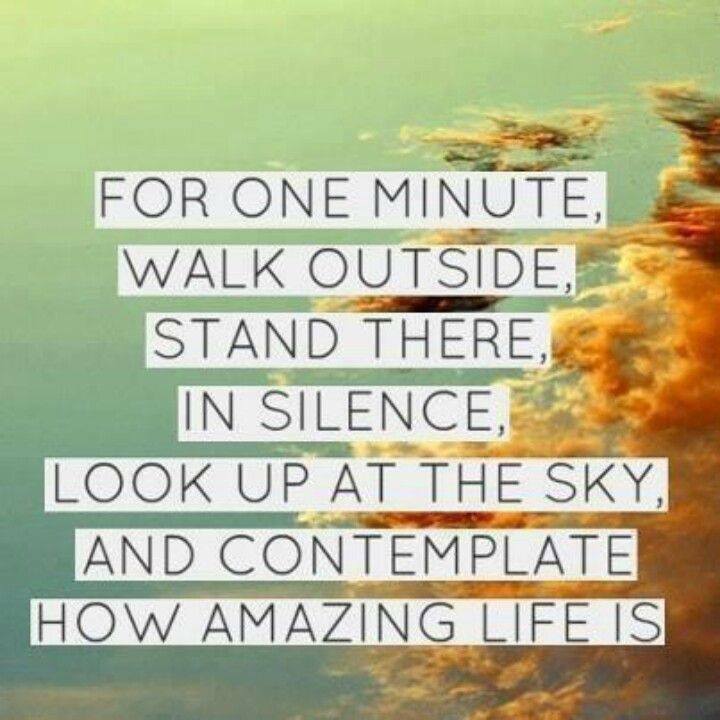 Each day we take what comes, giving everything our best for that day in hopeful planning, reaction and response. We must loosen or release our hold and our sense of control on most everything but our emotions; and faithfully, we must learn to wait to see what comes next in life. Rarely do things go entirely as we had planned or envisioned in our minds eye. Clean up, maintenance and restoration is not just left to those who clean pools in Phoenix during monsoon season. It’s just a part of life we must all come to expect and to tolerate! Most of the time, because we can only control what comes from within us . 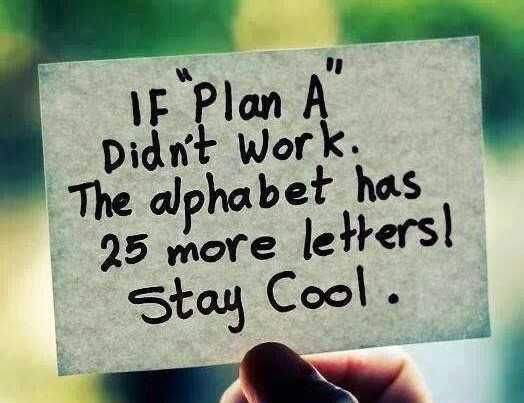 . . we must learn how to adapt, to alter and to amend our plans when life doesn’t play out as we planned. If we want to enjoy our lives overall, we must not let the unexpected and unplanned stuff which happens that is out of our control overwhelm us or impact us for too long. We must resolve ourselves to cleanup, maintenance and restoration each new day. Appreciation Must Not Wait . . Appreciation must not wait until we have all we want or everything we think we need. To appreciate life means we start by assessing what we’ve already got or already have had as having value, knowing that even our breath and heart beating this day is reason for our gratitude. Often we become so empowered by our desires and wants that we forget to be thankful and content in all that in which we’ve already been blessed! Every day of life, every friend who walked beside us, every supportive and loving family member, every day of sunshine, each day of rain, every beautiful flower we beheld and each phenomenon we treasured, every mile we journeyed and every adventure we made it through safely, every day of good health and every thing we’ve overcome, every passage and every milestone, every significant matter and all achievements, every gift and each staple of our daily provision . . each and every second of every day of all of our lives we’ve been given something in which to appreciate life and to celebrate with gratitude! If only we would look at the sum of our lives, not measuring it by only what we’ve lost or never had. If only we would see the sum of great treasure which we inherited at birth, were given over time, met as dear souls, came upon as gifts to us, or have already earned by our labor and efforts. 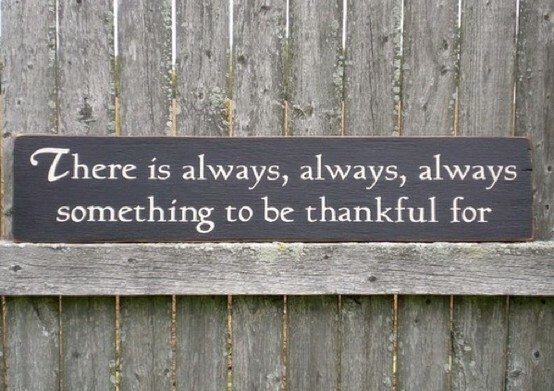 So many people are caught in what they’ve not gotten, that they forget to appreciate fully all that they’ve had. Many are mourning what they had and lost, not realizing all they still have left around them. Many never know to be thankful for their abundance even though by comparison, they would surely be assessed as more than blessed; they might even covet others for what seems enviable in their lives! And many never know to see even their own breath and heartbeat as valuable; for in each breath and in every beating heart lies the seed of life’s potential and plentiful reasons for gratitude. It’s so easy to forget all that life has placed within our reach, focusing on all that we’ve yet to grasp. And it’s even easier to proclaim our lives as worthless, unproductive or valueless when we measure our joy or success in terms of what we’ve lost or never gained, or in comparison to what others have. With appreciation, with gratitude, all of life starts to take on value; we realize all in which we’ve been blessed, even what we once might have taken for granted . . our breath and our beating hearts, our being alive! When we view our own lives through the eyes of gratitude and appreciation, we no longer put all of our focus on things which deplete us of our overall joy, contentment and peace of mind. What an honor it is to see that banner flying high and proud! I look for it when I take the drive along the I-10 West, there at Vicksburg Rd; it stands out majestically over all the vast and empty spaces, flying for all to see. I partake of its grand beauty when driving one of my favorite shortcuts home near the Kierland area; it flies so obviously in front of an office building there by the fountain. There are two of them flying on a corner nearby my neighborhood. I look for our flag, happy and joyously spotting them wherever they are and whenever I notice them! 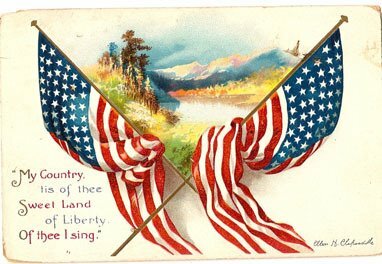 And I am happy to say, our flag can bring tears to my eyes for its history and its majesty; I get emotional and well up with pride for what it means, especially when I consider the options and all the possibilities were it not to fly and were it not flying for freedom’s sake all around the world. I suppose there are many who don’t see it that way; they would no sooner shed a tear in its honor than they would seek it out with hopeful eyes. But I cannot worry about those who don’t grasp all for which it stands; and I surely cannot grasp their lack of appreciation for the many generations of freedom over which it has flown. I merely know in my own heart and mind why Old Glory flies for the sake of this nation! It surely indicates our national acreage, land and properties, but it also flies as testimony to our hope for freedom at its very core – within the human heart, mind and soul! There would be no freedom in the world right this minute if not for this nation, the USA, standing watch over such an aspiration as freedom for nearly 240 years now! May God keep us centered in our focus on freedom’s preservation, knowing it is the goal of every human to walk in freedom’s light by His Divine hand of creation! May we treat our majestic flag with honor and reverence because it stands for freedom! It reflects the hope of all humanity to live in freedom both here and around the world! And it reminds us of all those who gave everything in service to this nation, in upholding freedom’s priceless call upon the human heart! 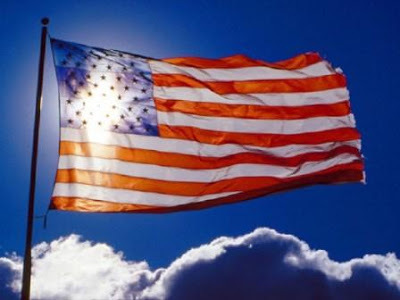 God bless this nation on Flag Day, 2015! Walking By Faith . . If you want to dismiss all things Biblical as imaginary and implausible, then you have to eradicate the history of a lot of actual people referenced in the Bible and in history books as well. And although you may not have personally seen those people because they existed generations prior to our lifetime now, you cannot just automatically dismiss their reality simply because they were “invisible” to you, by way of time and generations passing! If that were the standard, every person who was deemed a historical figure, but no longer lives now in this time frame, would also be considered imaginary . . . wouldn’t they? Perhaps many of our own distant relatives would fall into that category, as we in the present time just cannot prove by eye-witness testimony that they existed! Oh wait . . we can. We have life, we have generations of people who succeeded by birth from those who are no longer here. And in those generations, we have recorded factual history passed down from others throughout time, referring and citing the presence of those whom we still speak of or read about today. So why are some deemed imaginary now, while others are not?? Why is it so easy to doubt the stories of the Bible, though Christ walked among us, having life and living with people? Why do we doubt the writers of the various books of the Bible, whom over many years chronicled their eye-witnessed testimonies, their personal accounts of interactions with actual living souls and their very own prophetic experiences?? Why is it easy to dismiss a history-filled book and the very Subject which fills its pages? Oh the very ease at which some dismiss God’s presence and the manner by which Jesus was not only prophesied for centuries, but came to dwell and to die for all of us. The terminology I hear used most often these days when unbelievers refer to God is “puppet master in the sky”. Is that what someone or some group is teaching them? It is so commonly used as a reference, I wonder if those same people then commonly label others they never knew or witnessed in their lives as imaginary? 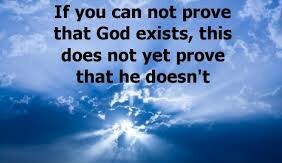 Because they cannot see God, He is surely imaginary to all of those of us who do! I suppose all the great explorers and historical figures have been demoted to imaginary as well then? We didn’t see them either, did we?! Was there really anyone brave enough to set upon the yet navigated seas to deem the world round not flat? Or was that just imagined? Was there anyone daring enough to build cities in the desert, pyramids of stone deemed impossible by that period of time due to a lack of engineering equipment and tools? Perhaps those are imagined too. So much of what we accept now is truly just as random in its plausibility as is the existence of God, if we use our own eye-witness experience to render it viable or believable! 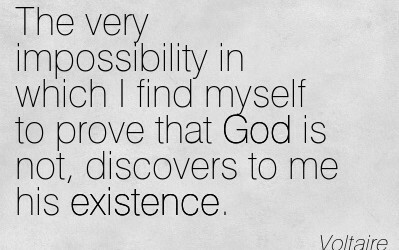 I personally don’t need to have seen everyone I have heard about in this life to believe they exist, so I am able to believe by faith that Someone greater than us all exists as well! But only time will prove that to those resolute in their doubt or denial . . I look at every thing and every being around me and see God’s hand of creation. I’m not sure how I came to be so positive of His existence, much less so sure of things written in the Bible, but I am. And I am just as sure about God in His eternal majesty, as well as Jesus and other Biblical figures in their human states, as I am that various other notable human beings walked this earth at particular times to provide for us in this generation not only life but progress in that life! God’s existence is never something I doubt now as I’ve learned to have a meaningful relationship with Him through Jesus Christ. In that, I have received the Holy Spirit within me and now I am growing spiritually in ways I never imagined! I see many things by faith with eyes blinded to things of this world. And I’m happily and contentedly looking forward to my life to come! I guess when it comes down to it, I don’t mind being God’s beloved child, even if that makes me seem a puppet in another person’s eyes! Rolling With the Changes . .
I’m rolling with the changes . . otherwise the brakes of resistance I try to apply wear out from fighting against the natural state of things. Life is ever-changing and though we might believe ourselves easily rocked by all the change we experience, we are only able to truly grow and develop when we’re forced out of our comfort zones. Change is life! We begin as babies incapable of fending for ourselves or appraising our own course; were we not to change, we wouldn’t even understand that we had life! 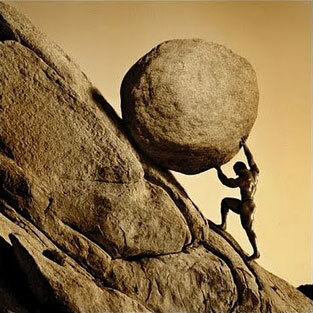 So why does it often become harder to accept all the change of life by the middle or perceived end? I suppose it is our awareness having awakened us to the realities of life’s abruptness and unfiltered truths. Life can seem so hard once we understand loss, brevity, failure, fear, doubt, worry, anxiety, lack, need, and all the emotions which push upon our souls. But at the same time, life is supposed to have prepared us each step of the way for exactly what comes next, known or unknown. We should know by now that we’re not invincible, infallible and that our time is not infinite here on earth; but we should also believe ourselves successful at having made it this far! We’ve learned, grown, developed, overcome, strengthened our minds, bodies and spirits for the journey yet to come! Why then be reticent when changes happen? 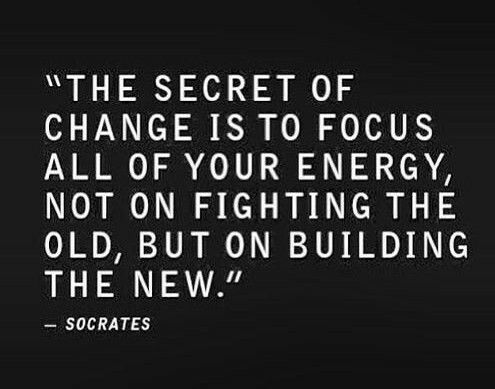 Without change there can be no actual growth or development in us or around us, in which we might take great pleasure in having mastered another life skill or challenge! Life wouldn’t be much at all were we to remain as we once were. If we keep applying the brakes to our life as it changes around us – hiding or diverting from the changes we fear, dread or imagine – we risk stalling, crashing or disabling our own lives in the process. In the end, life is really the sum of all that we met and overcame in pursuit of some level of contentment, inner peace and joy within our souls! We should welcome the changes as new tests and testimonies for having stood tall and strong in this life!